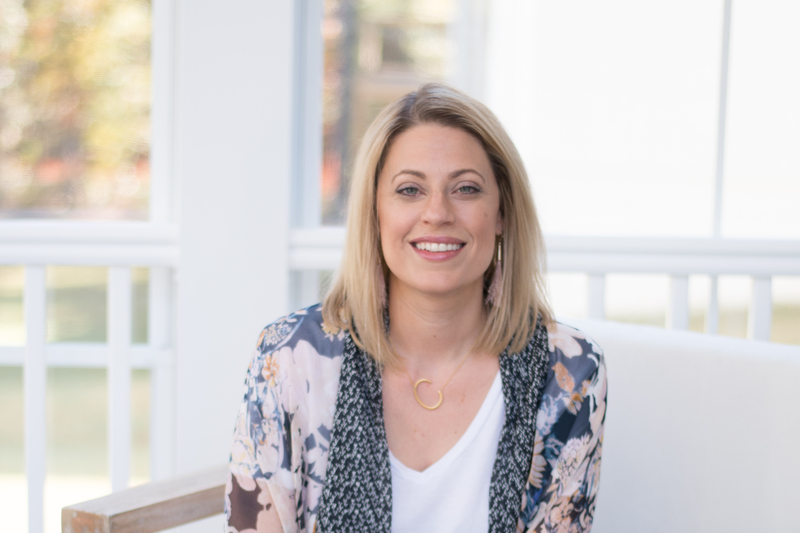 By now, I’m pretty sure you know just how much I love the modern and fun home decor from West Elm– so when I found their Industrial Pipe Curtain Rods I had a decision to make. I could drive to the mall, buy the curtain rods, be home and have them set up in about 2 hours. HOWEVER. 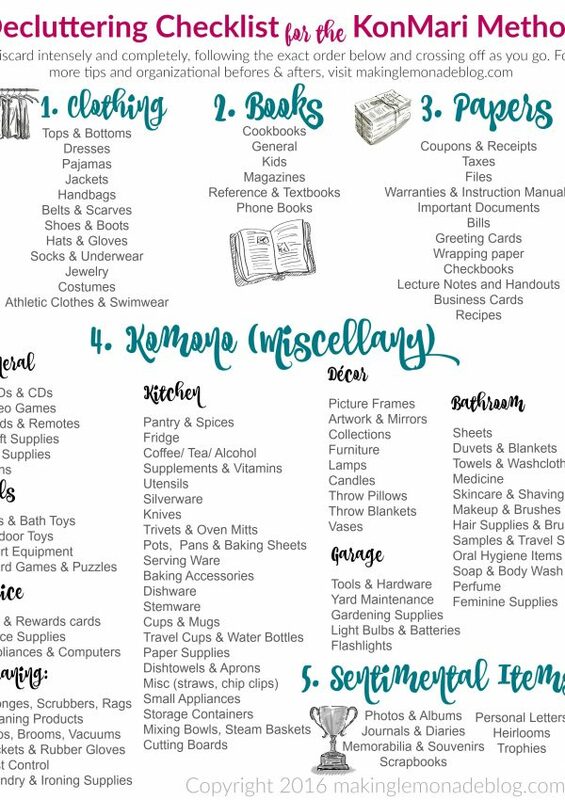 I could also drive to Home Depot, grab the materials, DIY the heck out of them, and have everything finished in about 3 hours and for $100 less. Guess which idea won? Oh yes, I got my DIY on by figuring out how to make the galvinized pipe curtain rods all by myself– well, with a tiny helper in tow. HINT: It’s easier than you think. The materials cost about $90 total for two curtain rods, which is less than what ONE of the West Elm curtain rods would cost! And if you can find floor flanges for less than $10 each grab them, because that’s where it really added up for me. 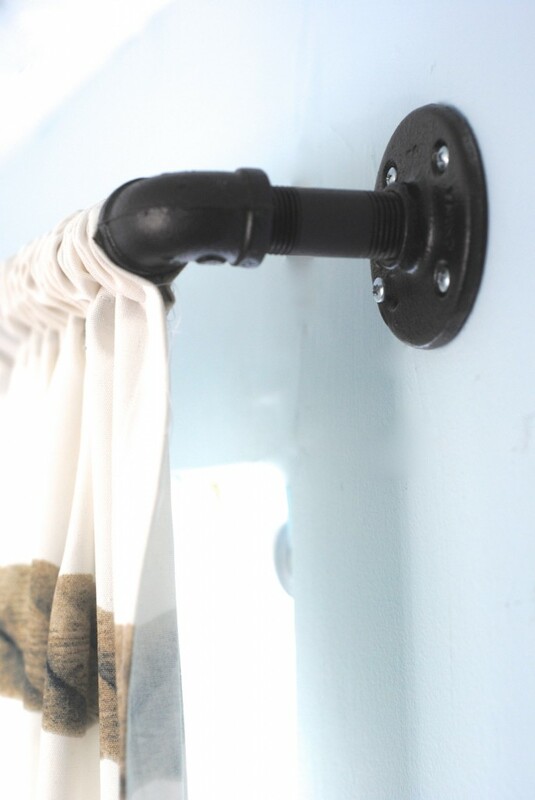 Here’s what you’ll need to get started for EACH curtain rod– all can be found in the plumbing section of your hardware store. 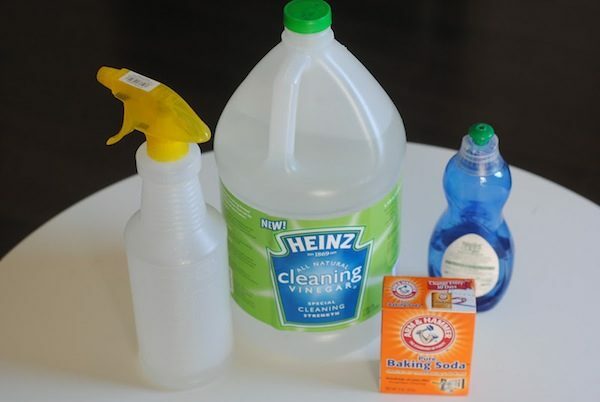 Don’t be intimidated– I stood there for 30 minutes putting parts together until I figured out how to make it work but you can just bookmark this page and take it along as your shopping list and get the parts in minutes flat. Here’s a diagram so you know what you’re looking for– make sure to get TWO of everything but the pipe for each curtain rod! 1. These parts are MESSY, so I’d highly recommend cleaning them first. 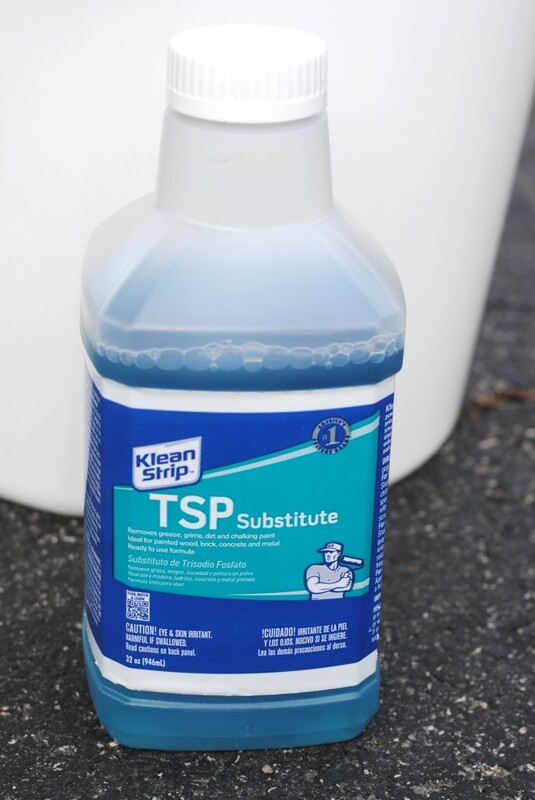 I used good ol’ TSP, a fantastic cleaner for the DIY-er. note that I didn’t clean this one off first; I quickly learned my lesson and cleaned the parts for the second one before assembling! 3. The next step is optional, but I feel it puts a finishing touch that works nicely in my son’s room. 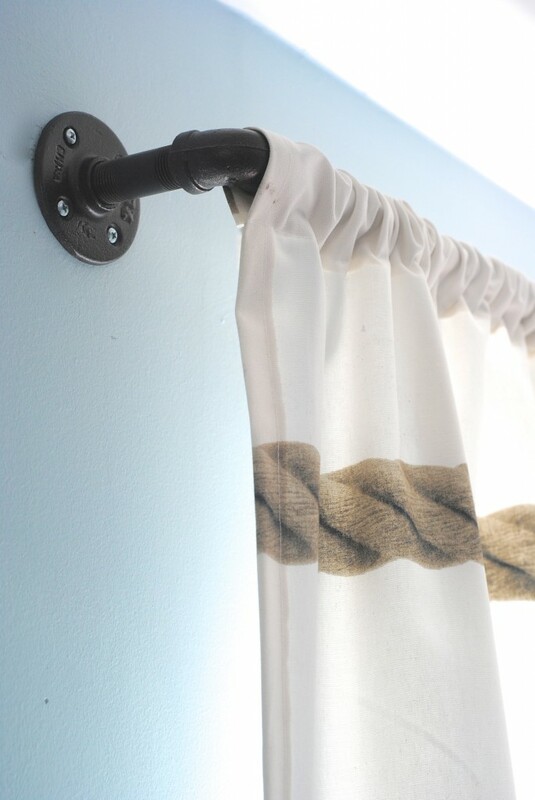 I spray painted the finished curtain rod with Oil Rubbed Bronze spraypaint and let it dry. 4. Since the entire unit will be attached to the wall, you’ll need to load your curtains and/or curtain rings on first, THEN hang. This is kinda a two-person job, unless you ask your husband to hold it then run out of the room to check on the kids and come back 3 minutes later and see your husband is STILL holding it. At that point, it becomes a one-person job because someone is maaaaaaaaaad…. 6. You’re done. Celebrate your easy DIY victory and go spend the money on something else you love at West Elm like this Pyramid Jute Rug I’m crushing on right now! Or sit in the chair in front of the curtain and read train books with your Bee. The best part of the entire process was that my son LOVED the rods. 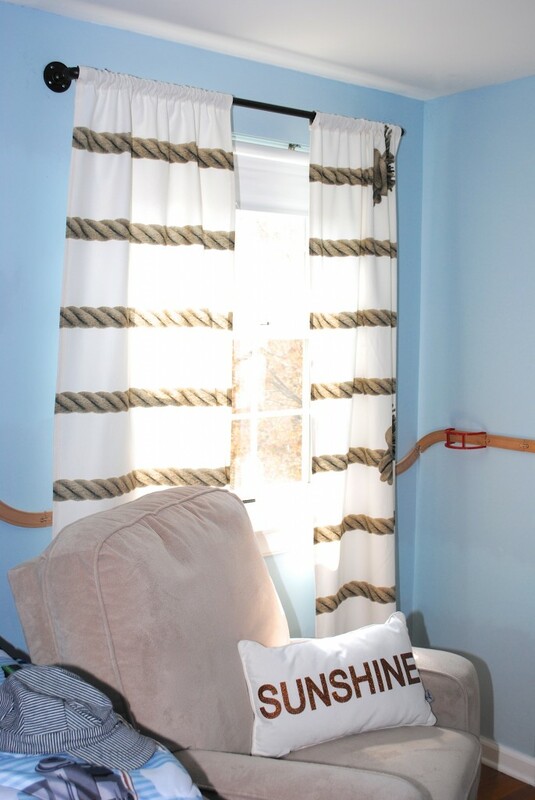 We were tired of his old valances and the blackout shades needed to be replaced, so this easy little boys room update made a world of difference that even my picky lil’ buddy loves. We added a few more updates and I can’t wait to share them as his fourth birthday approaches! Do you see the special touch on the wall? Bee came up with that idea! 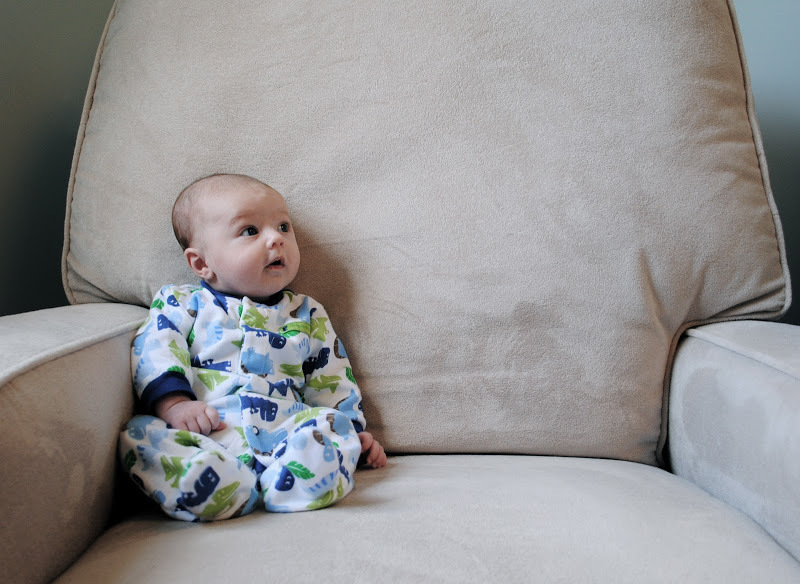 I mean really, wasn’t it just yesterday he looked like this sitting in his baby boy nautical nursery at just a few months old? I swear he’s looking around the room forming opinions and dreaming of the day we turn it out in ‘industrial style’. Excuse my while I go shed a tear over my growing boy and the room updates we’re working on together. I’ll tell you what– this boy has OPINIONS and I’m enjoying the end results! More room updates coming soon– the world’s easiest curtains, a boys’ room gallery wall, and that special wall decoration that’s a train lovers dream come true. Stay tuned! What do you think– was an extra hour to DIY them worth the savings? Would you have kept them silver or spraypainted them an even bolder color? We are in the process of updating our kids’ rooms. This would be GREAT over my son’s window! Thanks! Very, very awesome!! I love the look… Isn’t HD the best? 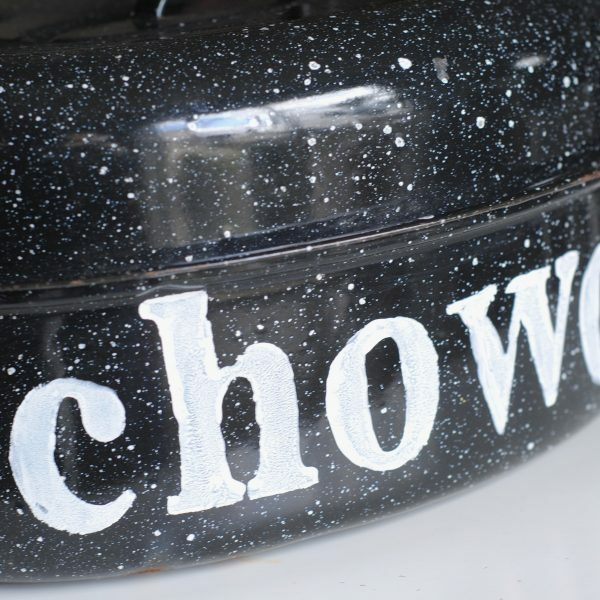 LOVE LOVE LOVE These would rock in my front rooms. I think I am so glad that you posted this! 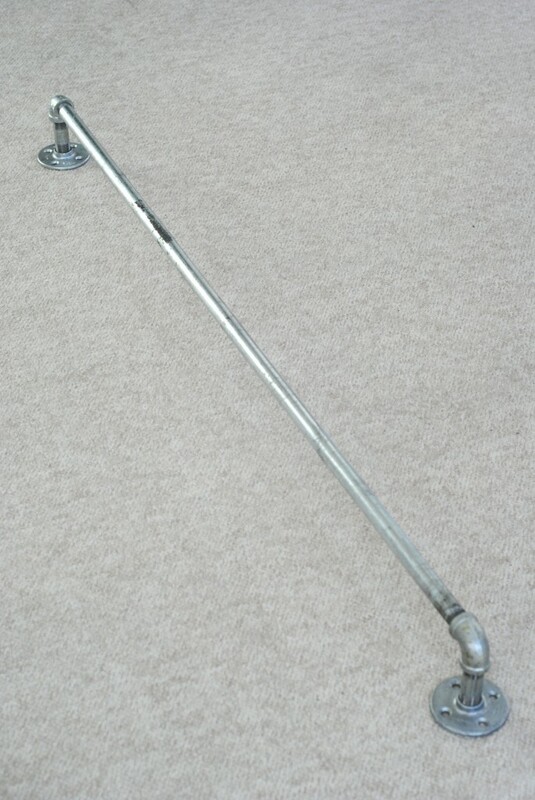 I have such a hard time finding interesting curtain rods that I like <–sounds totally weird, I know. With us moving it is one of the things I am dreading most. These will be perfect for the boys room! 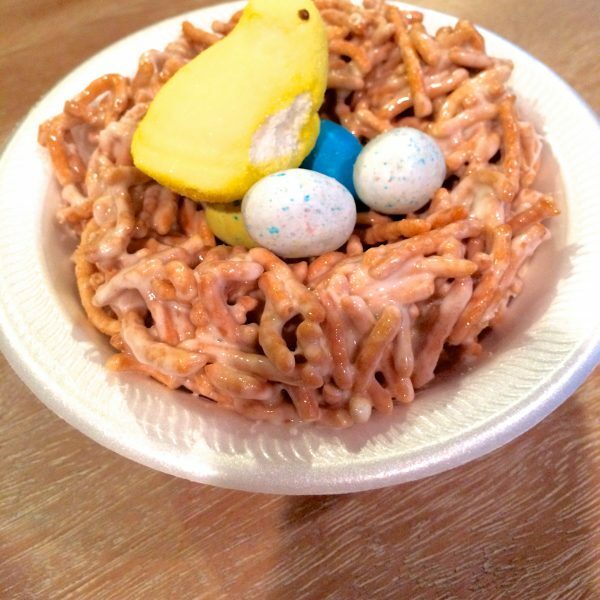 I have been thinking of making some for my son! Love yours. LOVE this! Might be perfect for my craft room! Yep, these are incredible. Great job! Pinning for sure! Totally love them! With your directions I’d absolutely DIY them & I would’ve touched up the screws. I’ve been thinking of doing this on the porch , BUT, wouldn’t it make things easier to hang the curtains from clips so they can easily be taken down for laundering ? Home Depot will do the threading on both sides? really? YES. They really do! That’s the only way I’d be able to have done this. In fact, the guy did it happily. 🙂 Just ask someone in the plumbing department for help and make sure to have exact measurements on hand. 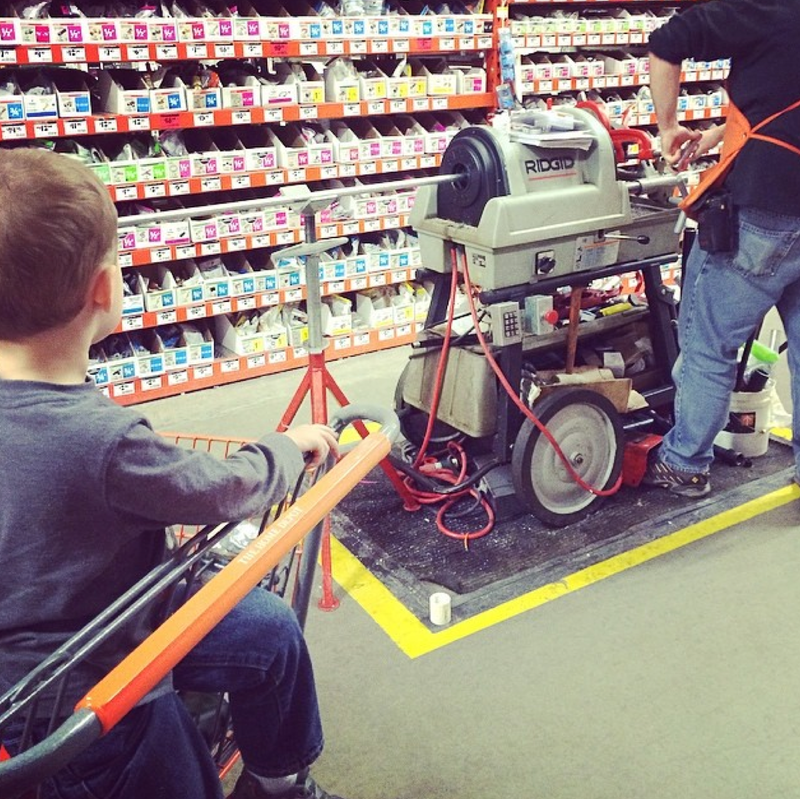 The machine to do it should actually be right there in the plumbing aisle. 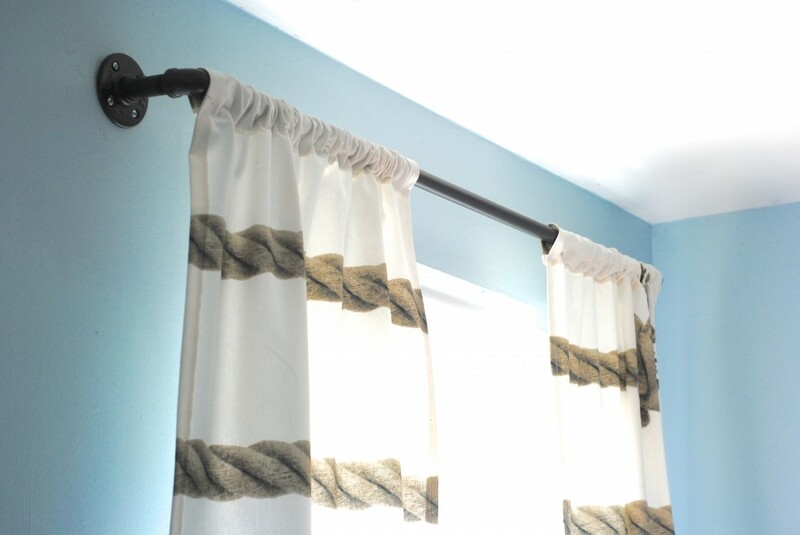 Love the curtain rods (with great directions) but especially the rope curtains! Where did you find those? Just a thought: since you painted the pipe anyway, would it be possible to do the same with PVC piping? That way they would be less of a load on the wall as well as being cheaper. 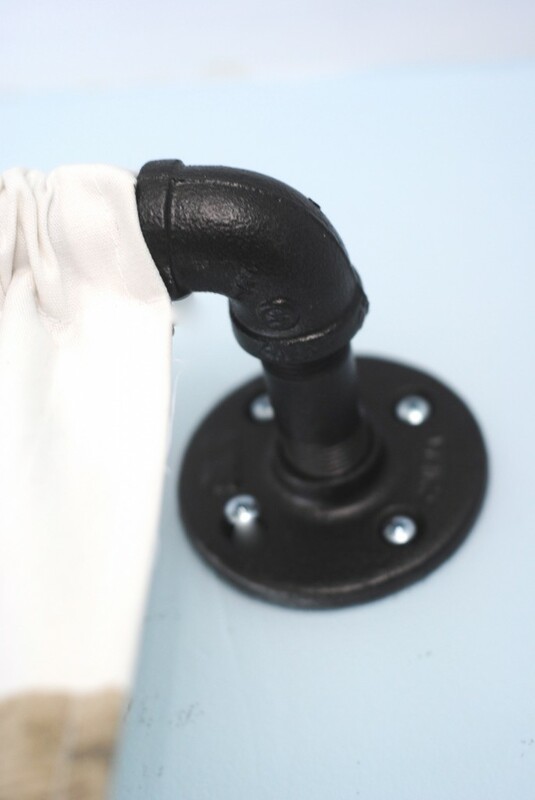 There are identical flanges and elbow joints available in PVC. That’s a VERY good thought! I personally haven’t painted PVC before but would guess if you did it correctly it would look fine. I’m not sure how it works in terms of joining the various parts, but if you’re looking for a budget option that’s much lighter PVC may be the way to go. Thanks for sharing! I love this option. I was planning on spending nearly $300 on rods for my new house. This is such a better option. I noticed someone mentioned clips fro easier washing but I hate the bulkiness of them. What do you do without them? 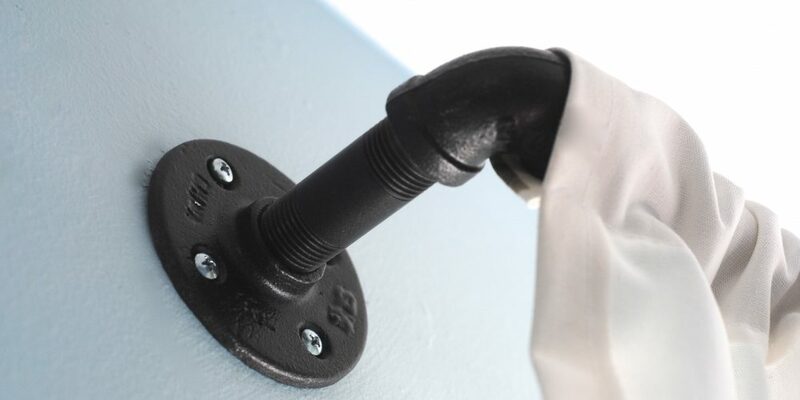 Does the pipe easily unscrew and come down to take off the curtains? I’d love to know how you handle it! Thank you! 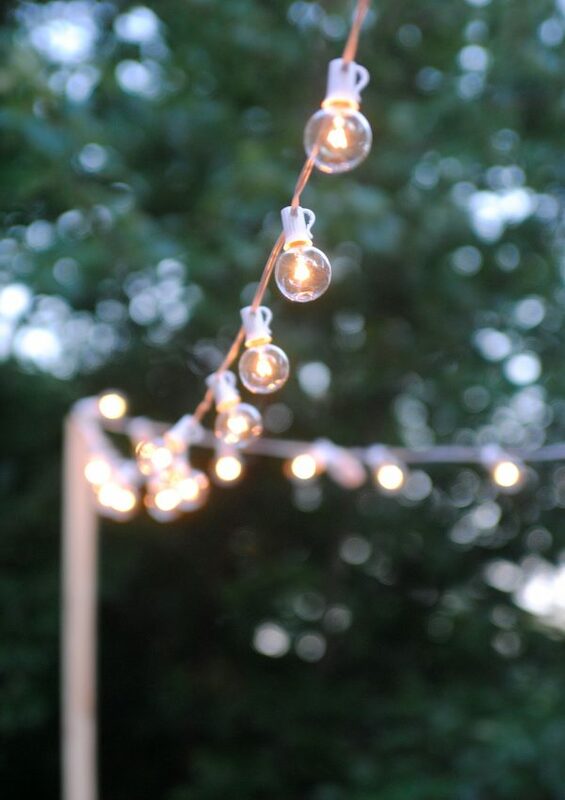 To be totally honest, I haven’t taken them down or washed them since I put them up. In order to take off the curtains I would need to unscrew everything, which isn’t the most efficient method. In hindsight, I’d use clips– but again, not having needed to take them down it hasn’t impacted me much. Good luck!! This comes a bit late… but in my last apartment, I had curtains with loops that had a bit of velcro on the “inside”. Easy to take down and up again, and you wouldn’t notice the velcro when standing in front of the window… Unfortunately, I just bought new curtains for the bedroom in our new house before I found this beautful diy! That is an AWESOME idea! I was so eager to put up my curtains I didn’t even think of velcro or clip rings when I made mine. We are building a new house and I plan to do these in another room so I will keep that in mind for sure! I have all the parts to build these and the fabric to sew the curtains. Your velcro suggestion just solved my “how to wash the curtains” problem. It was either that or use two shorter sections of pipe so there was a gap in the middle (I’m doing narrow side curtains that are a max of 24″ wide). 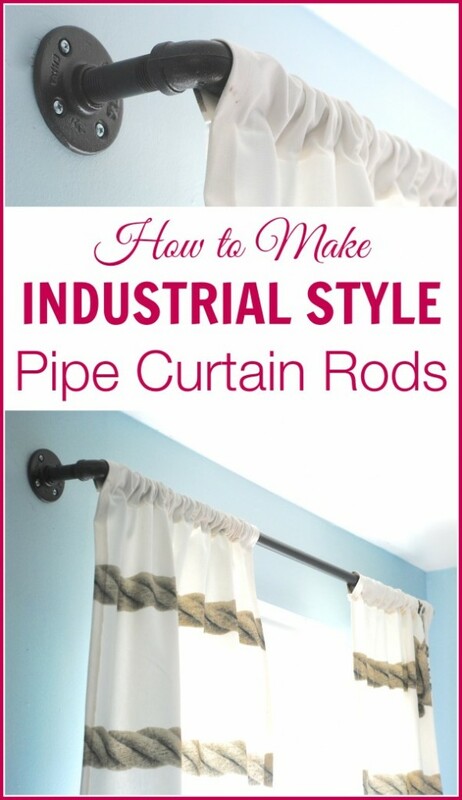 We just built a room addition to our home and I really want to do the industrial curtain rods. HOWEVER, when you posted that you’d have to take down the whole rod to change/wash the curtains, that made me hit the “Pause” button. 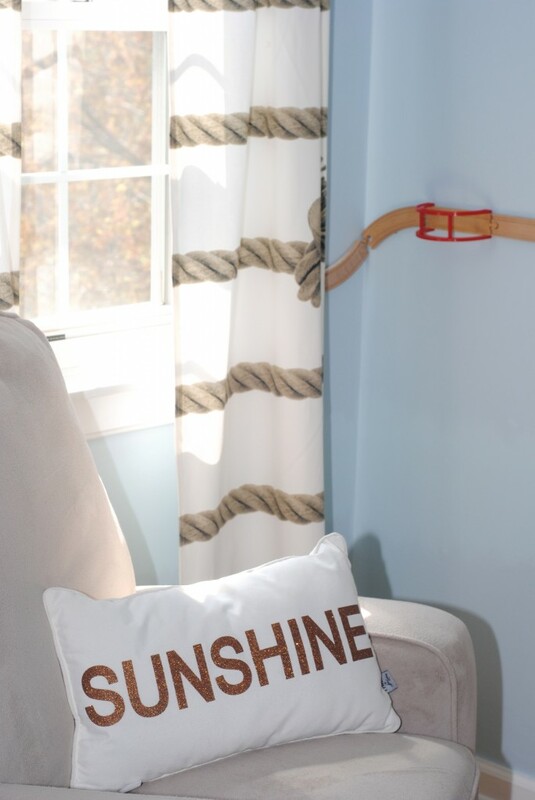 I’ve already ordered the grommet curtains and really wanted to have the rod(s) go all across the windows on one side, around the corner and across the next side. (Not separated) That’s five windows, including a bay in the middle. Not sure how I can do this, now. The one thing I can say is that I never wash curtains, so unless you take them down to wash often it won’t be an issue. 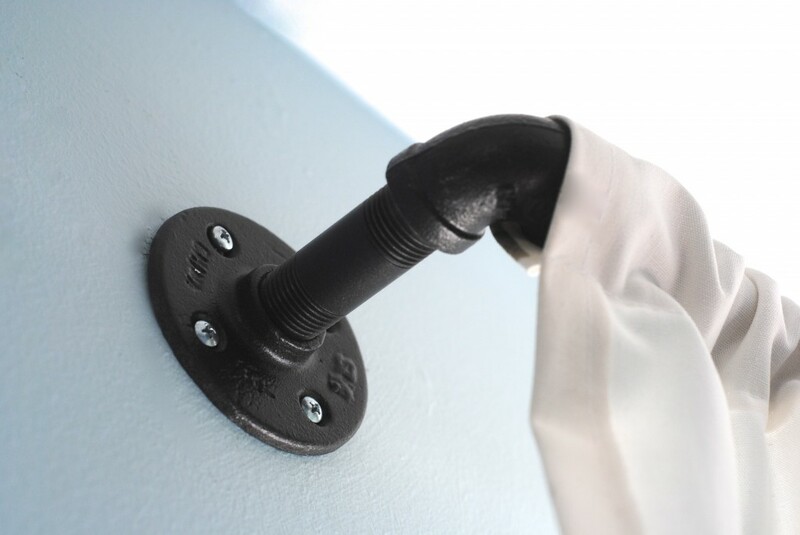 🙂 Frequent vacuuming and spot cleaning as needed will eliminate the need to take them down, so grommets should work. The permanence of the rod issue also gives me pause…but I’m wondering if finding a spring tension rod that fits inside the elbows might be a solution. You’d just have to be very careful about making sure it fits inside the elbow opening. This is a great tutorial — I did it for my daughter’s room and she loves it. Washing the pipes is super important, not just because it’s messy but also because galvanized pipes are coated with an oil that will prevent your paint from sticking well. I also recommend priming, especially if you are using clips that will be sliding across the rod and can scratch the paint off. There are good primer plus paint spray paints that would work well. 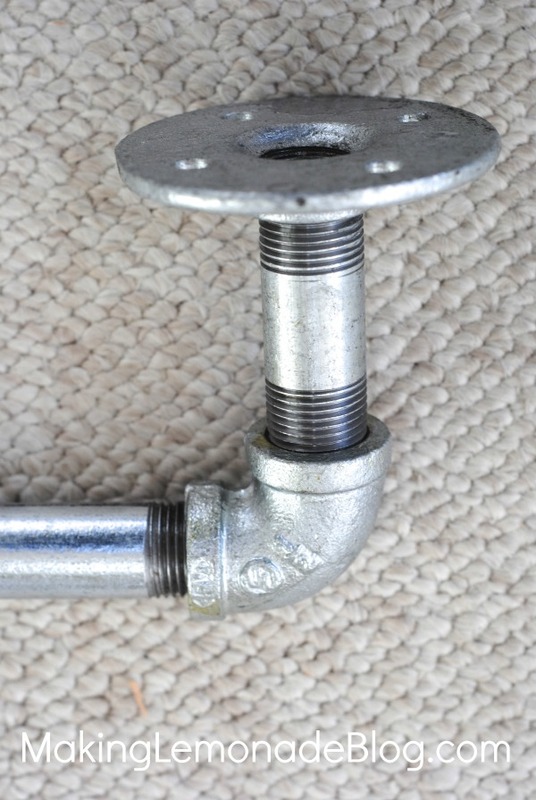 If you want it to be removable you could use a T-pipe fitting and then cap the pipe on either side. I would recommend using a slightly smaller pipe for the rod so that it slides in and out easily. This also is nice because the caps look more like traditional filials, if you like that style. Thanks again for a great tutorial! I really loved the results and learned a lot along the way! I LOVE this idea for the master bedroom. I have been struggling finding an option to cover three windows across one wall which measure about ~185 inches end to end. 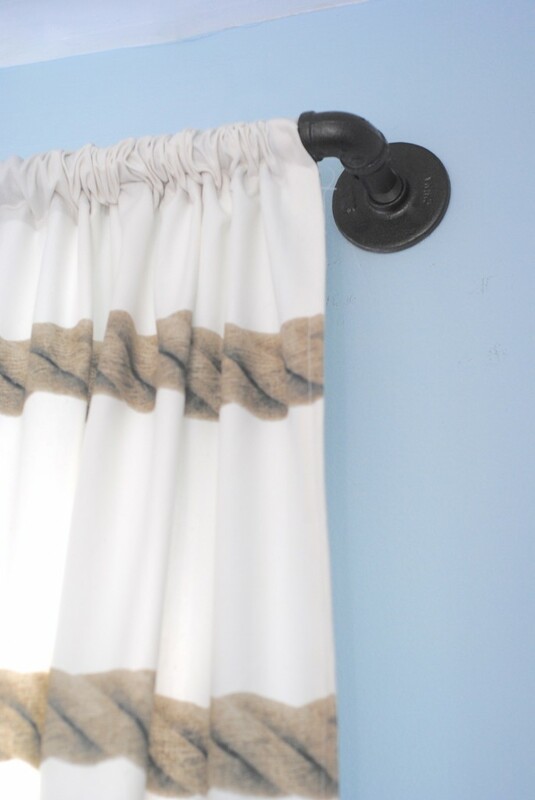 Would you recommend some sort of bracket attached to the wall in between the two ends for a drape this long? 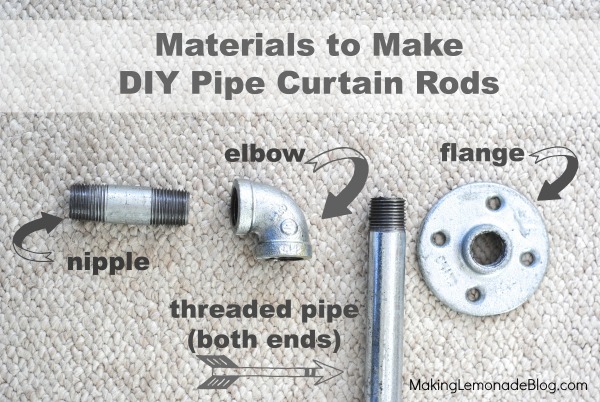 Also, for any of the diy curtain rods that you have done, have you ever added a second, inner rod for sheers? 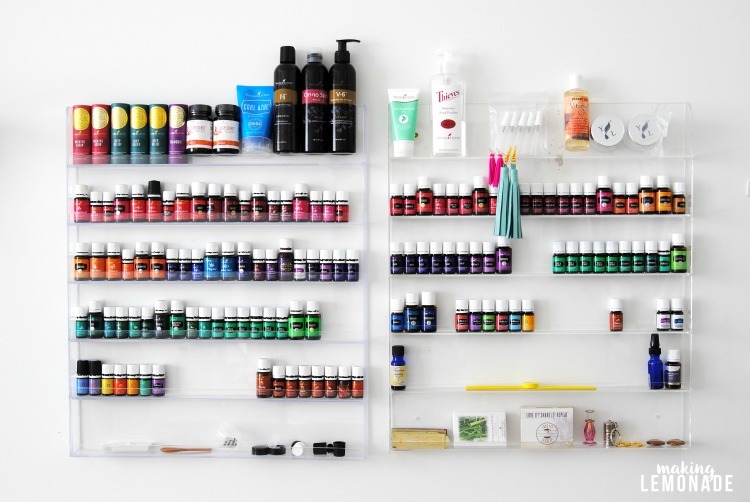 If so, what would you recommend?